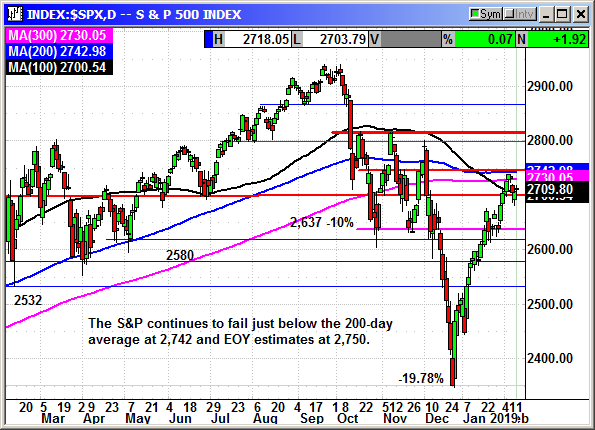 The markets traded sideways again while we wait for trade news and shutdown news. The trade talks are ongoing, and anything is possible but probably not until the last minute. With another government shutdown looming for Friday there was no rush to add to long positions. However, around 8:PM tonight news broke that negotiators have reached a compromise in the border funding battle. No details are available but the S&P futures are up 10 points. The long position was stopped at $70.35. 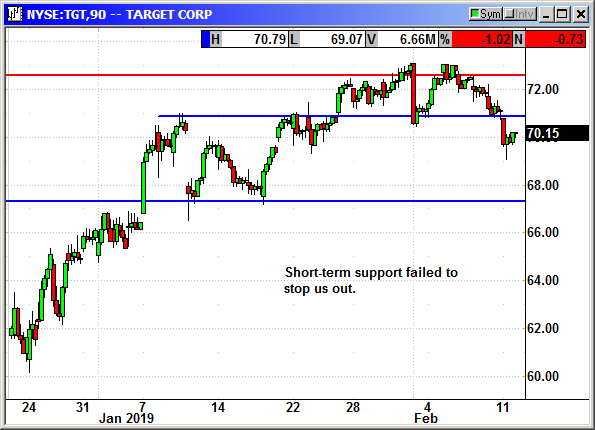 No specific news but shares broke short-term support to stop us out. I am sure this is related to the shopping app that killed their rally last week. 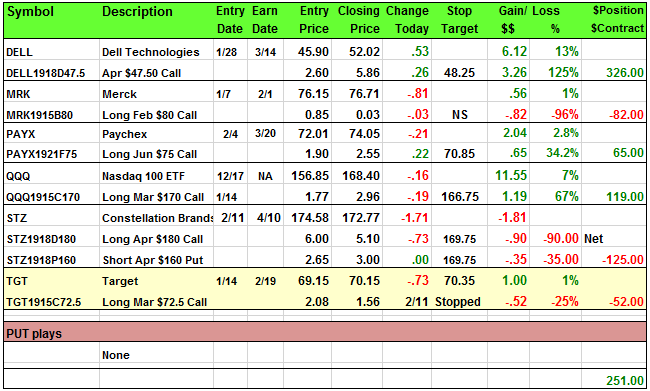 Closed 2/11: Long March $72.50 call @ $2.08, exit 1.56, -.52 loss.